As the days grow shorter and a chill sets into the air for months to come, many of us turn to books to capture our attention and entertain, inform, and inspire us. We’ve put together a list of some of our favorite books about music spanning biographies to theory, workbooks to music history. Whether you’re looking for a gift or something for yourself, there’s something here for everyone! Celebrated soprano Renée Fleming shares what she has learned from her experience as an inspiration for those contemplating a career in the arts. Critically acclaimed, gripping saga of an artist’s struggle to “make it” without compromising his musical vision. It is a story that, like its subject, reflects the tidal ebbs and flows of American history in the twentieth century. Compelling biography of a musical genius that portrays the real man behind the music - a difficult and complex character, struggling to continue his profession as musician despite increasing deafness, alienating friends with unprovoked outbursts of anger one moment, overwhelming them with excessive kindness and generosity the next, living in a city in almost constant disarray because of war with France. Brown presents Pressler's approach to performance and teaching, including technical exercises, principles of relaxation and total body involvement, and images to guide the pianist's creativity toward expressive interpretation. Insights from the author's own lessons, interviews with Pressler, and recollections of more than 100 Pressler students from the past 50 years are gathered in this text. An accessible and complete introduction to writing and scoring music for each instrument of the orchestra. Clear explanations, vivid descriptions of various instruments, expert advice, and numerous musical examples to maximize the student's understanding of concepts being presented. Alfred's Essentials of Music Theory is Designed for students of any age, whether listeners or performers, who want to have better understanding of the language of music. In this all-in-one theory course you will learn the essentials of music through concise lessons, practice your music reading and writing skills in the exercises, improve listening skills with Ear Training CDs, and test your knowledge with a review that completes each unit. Thorough analysis of eight classic charts from the pens of Thad Jones, Sammy Nestico and Bob Brookmeyer. The complete full score for each part is presented and voicings, orchestration, textures, melodic construction, climaxes, chords are isolated and discussed. A comprehensive collection of composers, theory and definitions. This comprehensive reference guide provides: 1,300+ chords in treble and bass clef notation; 42 chord qualities with multiple voicings for most chords; keyboard diagrams for each chord; and music theory info to aid in chord construction. A comprehensive grounding in notational principles. A three volume series that includes the scales, chords and modes necessary to play bebop music and a survey of the development of jazz piano from 1950 to the present, with many illustrations of left-hand chord voicings, right-hand modes, turnarounds, harmonic distortions, blues and modal fragments. The philosophy and principles of Suzuki's teaching methods; through the examples from his own life and teaching, Suzuki establishes his case for early childhood education and the high potential of every human being---not just those seemingly gifted. A voyage into the labyrinth of modern music, The Rest Is Noise shows why twentieth-century composers felt compelled to create a famously bewildering variety of sounds, from the purest beauty to the purest noise. It tells of a remarkable array of maverick personalities who resisted the cult of the classical past, struggled against the indifference of a wide public, and defied the will of dictators. An invigorating, richly detailed portrait of the artists and events that have shaped the music of our time and a compelling argument for the resiliency of the art form and a rejoinder to any claims about its calcification or demise. Clawing at the Limits of Cool is the first book to focus on Davis and Coltrane’s musical interaction and its historical context, on the ways they influenced each other and the tremendous impact they’ve had on culture since then. Ernst Levy presents the essentials of a comprehensive, consistent theory of harmony developed from tone structure. A Theory of Harmony is a highly original explanation of the harmonic language of the last few centuries, showing the way toward an understanding of diverse styles of music. A series of short essays accompanied by short scores on topics such as: Modes of limited transposition, retrograde rhythms, and bird songs. Numerous ideas in clear prose. THE FUNDAMENTAL PARAMETERS OF TENSION AND RELEASE by Ian Sadock. 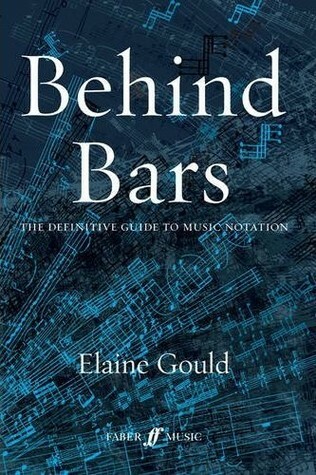 A book for any musician who finds themselves having reached a plateau in their development. Werner, a masterful jazz pianist in his own right, uses his own life story and experiences to explore the barriers to creativity and mastery of music, and in the process reveals that "Mastery is available to everyone," providing practical, detailed ways to move towards greater confidence and proficiency in any endeavor. Designed to teach syncopation within 4/4 time, the exercises also develop speed and accuracy in sight-reading with uncommon rhythmic figures. Plus, an in-depth study that takes the fear out of playing in time signatures other than 4/4. The Inner Game of Tennis is a revolutionary program for overcoming the self-doubt, nervousness, and lapses of concentration that can keep a player from winning. Part biography, part music history, and part literary mystery, The Cello Suites weaves together three dramatic stories: The first features Johann Sebastian Bach and the missing manuscript of his suites from the eighteenth century; the second is that of Pablo Casals and his incredible discovery of the manuscript in Spain in the early twentieth century; and the third is Eric Siblin's own infatuation with the suites in the twenty-first century. This is the first comprehensive guide to the saxophone, its history, technical development and repertoire written by some of the finest performers and experts on the instrument. Includes detailed historical developments in the classical, jazz and rock fields, provides practical performance guides, and has a chapter on teaching the instrument. Sacks explores the place music occupies in the brain and how it affects the human condition. In Musicophilia, he shows us a variety of what he calls “musical misalignments.” Among them: a man struck by lightning who suddenly desires to become a pianist at the age of forty-two; an entire group of children with Williams syndrome, who are hypermusical from birth; people with “amusia,” to whom a symphony sounds like the clattering of pots and pans; and a man whose memory spans only seven seconds-for everything but music. As we head into the holiday season, we hope these staff picks provide with you literary inspiration for gift-giving and cozy nights spent reading the time away. A big thank you to our gracious contributors! *Book summaries adapted from Goodreads.com.